Terri is a wife and a mother to 2 teenage boys. She is a preschool teacher and is very active in the children's ministry at her church. Here is her story, "I have been yoyo-ing with my weight for years. I know what to do, just needed a plan and a way to do it. I have tried all kinds of diets, but they fail. I would gain back more than I lost. This plan makes so much sense. Workouts are great and don't take hours of your time. If I can do this, anyone can because I love food and don't like to exercise. This was the best way for me! The planning and prep was a huge key to my success. I also loved all of us encouraging each other. Ali, you are amazing. You encourage us, motivate us and are always available for help. You have gone above and beyond to help us succeed. Your meal plans and recipes are a huge part of my success. I love that you are doing this right along with us. I can't thank you enough." 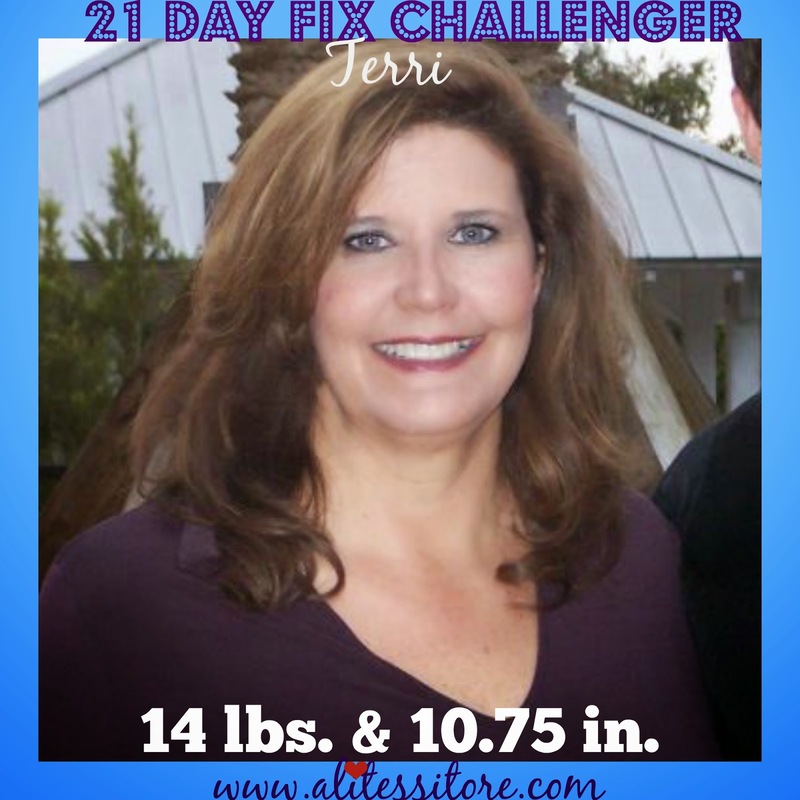 Oh, Terri, I cannot even express how ECSTATIC I am for you and your results....not only are you getting healthy on the outside but on the inside too! You made a decision to commit and you succeeded. You were determined, motivating, supportive, and HILARIOUS throughout the entire challenge and I cannot wait to see you reach your health and fitness goals. I know you can do it!!! !